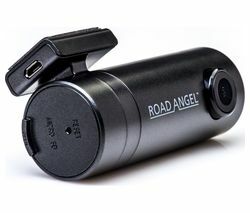 We Search Trusted Retailers DAILY to find you the best deals on Dash Cams and the latest Dash Cams sale to save you money. 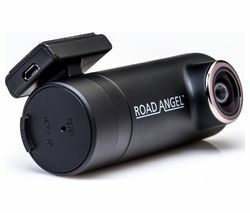 Dash cams are all the rage these days and the reasons for getting one are numerous. From safety, to cheaper insurance, and the bonus of uploading all the crazy things you see on the road to youtube. But with all these benefits, brings about the headache of which one you want, and what you want to get out of it. 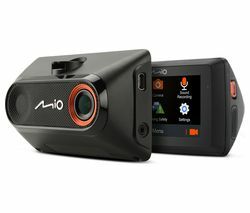 want a front facing screen to see what you're recording, to a hidden dash cam so you don't need to keep moving. All these added features start to add up at the checkout, so choose you're features wisely and you'll be getting excellent value for money on a cheap dash cams. With that being said, let's have a look at the what features you'll be wanting, and what feature would be a nice luxury too. 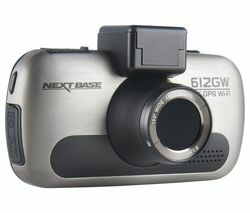 Budget Easily the biggest deciding factor of what kind of cheap dash cam you're looking at is your budget. 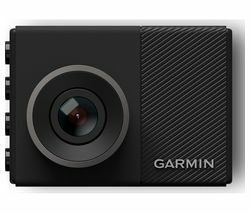 With dash cams starting at around £50 and going all the way up to £500, you can see that the difference in quality is going to be massive. Last thing you want if you go to cheap is for your camera to not be recording when you need it the most. Also going to cheap and it will just stop working after a few months and this gives you bad value for money as you'll end up having to buy a new one all over again. 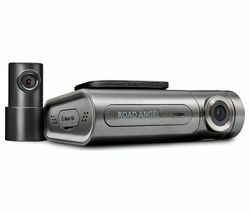 Front Facing, or Front and Back Facing Theres are two main types of dash cams. Once that just recored the taffic at the front, and the better ones which also record the cabin too. You can see that the benefits of this to a taxi driver, or Uber driver are pretty good and if this is you, you should really look into getting a front and back facing camera. There are also ones that you can link in that record the rear of the traffic too. You mount this at the back and the cheaper ones are linked via a cable, but some of the better models can be linked via bluetooth. These are far better as they are really easy to instal. The benefits of a rear mounted camera are to protect you from rear end collisions. Power Supply Getting a dash cam that has a built in battery can be a little misleading. 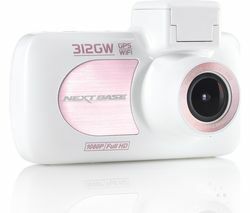 The built in battery is just designed to save any footage that has been recorded if you suddenly loose power. In situations like an accident for example. Which is when you are probably most likely to need to footage. So with that in mind, all dash cams are required to be plugged in to your cars power outlet. In the cheaper models, disposable batteries are more common. You are probably best avoiding these and going straight for a bit in battery that is getting charge every time you are driving. The big downside to this is that a battery that is constantly on charge and quickly die altogether. But you still get a year out of a mid range dash cam, so a replacement battery is not to big of an issue. GPS/Speed Recording This is a really good bonus feature. In the event of an accident or an incident that you are witness to. This feature will record the time, location and speed you where going. Not presuming you wasn't the one speeding, this can be a great feature to prove your innocence in the event of a contested accident. You will usually need some sort of software, or app to view the data on the footage, but these should come with the dash cam you've chosen. Video Quality This, we feel is fairly important. What's the point of being able to record incidents if your footage is not clear at all. We would always recommend getting the best possible resolution that you can afford. Event at the cost of sacrificing other features. So 720p or better is a bit of a must. One thing to note is that the better the quality, the more money it will take up. But the better resolution dash cams are aware of this and usually come with more built in memory. Plus you can always get a bigger memory card for your dash cam. Memory Card This brings us nicely on to the memory card to get for your low priced dash cam. Most dash cams won't come with a memory card. This is where you'll need to check what kind of card your dash cam takes, so it's best getting this after you've bought the dash cam. Some dash cams will only take cards up to 32GB too. 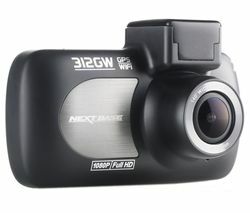 So if you've a 1080p full HD, you'll really want a dash cam that can hold a 128GB memory card. Auto Start and Stop This is a must have and nearly every dash cam should come with this feature. Basically it is what it says. It will start the recording when you start the engine, and stop recording when you turn off the engine. A problem in using a GoPro as a dash cam is that it does not have this feature. Night Time Mode This can be known as a wide dynamic range and high dynamic range. It is a feature that can better capture night time footage and something to look out for if you'll be doing plenty of night time driving. Parking Sensor Pretty much all rear facing cameras are equipped with a parking sensor, so make sure if you're getting this feature it has one. If not, look for another. The benefits of a rear parking sensor don't need going over. Dash Cam Size This is massively personnel preference. You may want one that is big enough for you to see the footage on the dash cam, or not think this is too much of an issue for a cheap dash cam. Take your time and have a look around before you go and get a dash cam. There are so many different brands out there, brands like Proofcam, RAC and Nextbase to name just a few. Checking out customer reviews is a great way to see if the camera you're looking at is any good according to the people using them. Lastly, shop around to make sure you're getting the best deal. The same brands can be sold at different stores for widely different prices. We find Currys and Argos are the best stores for giving the lowest prices in dash cams and also offering some great customer service too. 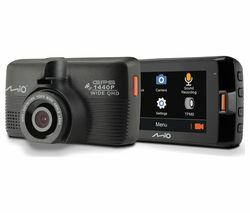 Argos is probably the better of the 2 for the lower end, but still good value for money dash cams, where as Currys is the place to shop for some of the top of the line dash cam models. Well we hope this has cleared things up a bit and you're in a far better position to go out and get some great value for money on a cheap dash cam.